Watch for new information on the Sacred Ireland Tour, and read her book Return of the Goddess. Jeri Castronova, PhD, Spiritual Psychologist and Award-Winning Author, has spent many years lifting the veils on personal and global truths that enable us to live our True Purpose. She leads gatherings in Quantum Healing, Claiming Your Game Board, Empowering the Divine Feminine, and Becoming Galactic Humans. 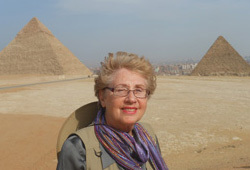 Her fiction and nonfiction books bring readers into a world of archeology, spirituality, past lives, romance, alternate Egyptian history, and an ancient Game Board that holds the key to the innate entitlement of humans. Her intuitive and channeled readings provide guidance and loving support for relationship, professional, and personal issues. The time is Now to connect with your beautiful True Self. Check out the links on the side panel for all the events, workshops, appearances, and interviews, to purchase books, THE NEW MASTERY GAME BOARD, or schedule a private reading.